When you’ve been copywriting for a while, you will start to notice that you have your own style of writing. After you have been at the job for a significant length of time, you are at risk of your style turning into a rut. Go-to formulas become stale, and you may even become disillusioned by your work – and how are you going to convince someone to follow your point of view when even you are unsatisfied with your writing? Read. Reading will expose you to other writer’s ideas, approaches and styles. Magazines, novels, blogs and newspapers will give you new ideas on topics as well as how to write on them. Customer feedback. This can give you some really great ideas on what people are looking for, supporting and complaining about. This will help give you new ideas on what people prioritise, what they care about and what their unique points of view are. Why are people reading? Are people reading for enjoyment, or to find useful information on a practical subject? With our busy lifestyles, the second reason is definitely the most common. People want quick, easy, applicable tips – be sure to incorporate this in your writing style to keep it relevant. Keep learning. Keep potential ideas written down and carry them with you for information. Absorb information that you pick up from friends, colleagues and the person in the queue next to you. This will give you some great topics and points of views to write on that are both relevant and fresh. Use your life. What are you struggling with at the moment? Are you redecorating, budgeting your finances or looking for new car? Out of all your life experiences, some will be relevant to your client’s needs. Think about what you are looking for, and then address those concerns, making your writing personable and identifiable to your target market. 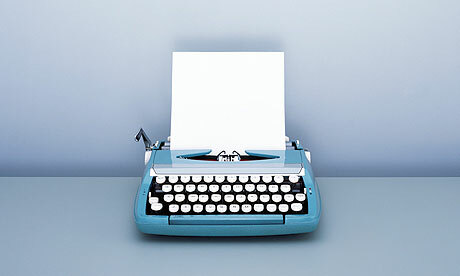 To learn more about professional copywriting services from WSI, contact us today.